Today a petition has been launched calling for a government minister within the Department for Health and Social Care to be made responsible for suicide prevention and bereavement support in the UK. 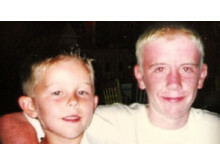 The petition comes over a year after Teresa May announced plans for mental health reform, including a new suicide prevention strategy with a focus on high-risk people like young and middle-aged men, and is headed up by Matthew Smith, who tragically lost his brother Dan to suicide 13 years ago. Suicide claims the lives of more than 6,000 British men and women every year and is the single biggest killer of men under 45 in the UK. The average cost of each suicide in the UK is estimated to be £1.67 million, while those bereaved and affected by every suicide averages at 135 people. On the morning of Monday March 26, CALM will launch a new campaign to further initiate much-needed conversation and action around male suicide prevention and bereavement support. Platt, S., McLean, J., McCollam, A., Blamey, A., Mackenzie, M., McDaid, D., et al. (2006). Evaluation of the first phase of Choose Life: the national strategy and action plan to prevent suicide in Scotland. Edinburgh; Scottish Executive Social Research. Cerel, J., Brown, M., Maple, M., Singleton, M., van de Venne, J., Moore, M., Flaherty, C. (2018). How Many People Are Exposed to Suicide? Not Six. Suicide and Life-Threatening Behavior. 10.1111/sltb.12450. Matthew Smith is 23 and from County Durham. His brother, Dan, took his own life in 2005. For more information on CALM’s campaign launching on Monday March 26, please contact the team at W Communications on 84@wcommunications.co.uk.